Gymboree - Shop To It Sale, Items Just $14.99 and Under! You are here: Home / Great Deals / Gymboree – Shop To It Sale, Items Just $14.99 and Under! Gymboree – Shop To It Sale, Items Just $14.99 and Under! Gymboree has hundreds of items on sale this weekend for up to $14.99, both in-store and online! 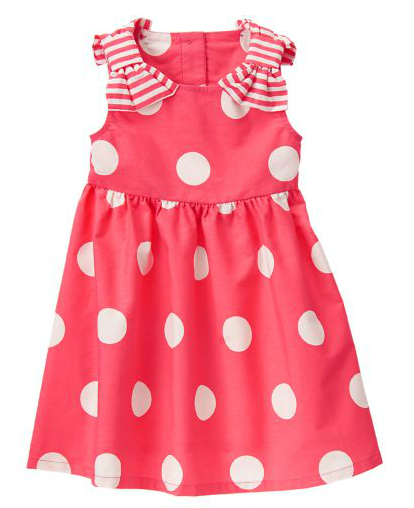 Including this SO cute Bow Polka Dot Dress for just $14.99! The Gymboree – Shop To It Sale, Items Just $14.99 and Under is going on all weekend so be sure to check out the great deals!